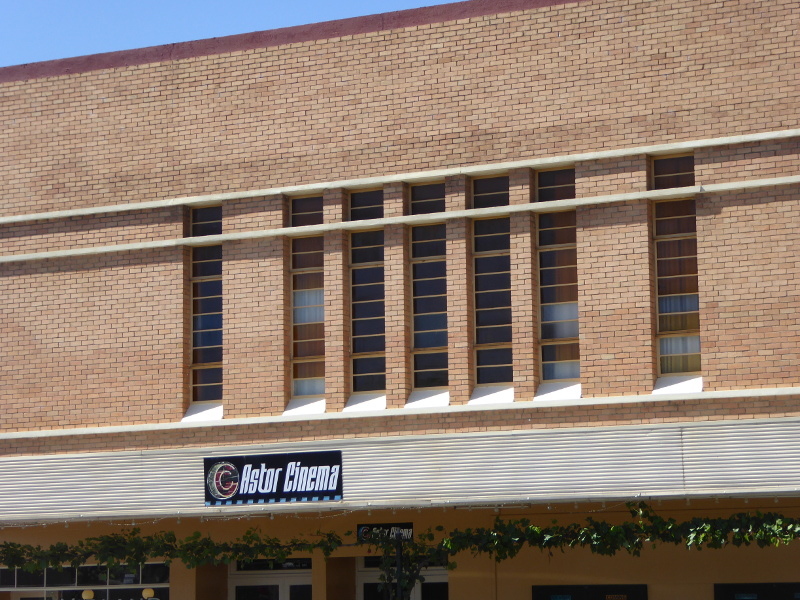 The Astor Cinema in Ararat opened 80 years ago in 1938 and is still going today. They bring a cup of tea to your seat if you are running late for the film. Shame they don’t make more of their history. 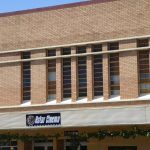 Ararat’s Astor Cinema has been standing on the main street of the town for 80 years now. In fact, it’s exactly 80 years ago this month that the cinema first opened its doors. Apparently the couple who run the place today still have memorabilia out the back somewhere from earlier years. Such a shame they haven’t displayed some of it out front to mark the milestone and remind locals of the resource that still shows films today. Mind you, our visit to the cinema in Ararat was a few months ago, so for all I know they have marked the anniversary – if anyone has seen something we missed, please let us know below. We were running late for the film we wanted to see because we’d been on a tour of the fascinating J Ward ‘lunatic asylum’ and jail. But we still had time to order a cup of tea, which was actually brought to us about ten minutes into the film (so we’d have missed quite a bit if we’d waited). The Astor is a three screen theatre these days and we were seeing a film upstairs in a small room with only some 25 or so seats. Screen 3 is up on what used to be the balcony of the original auditorium. Downstairs in the main room, there are apparently some of the original seats still in place, so next time I go, I want to make sure I see the film on down there. To be honest, the outside of the building is more impressive than the inside, but that also appears to be a sign of the moderne style, in which it was built – a kind of late art deco. The staircase is still there, but the focus is on the frontage, with its asymmetrical facade and smooth surfaces, but also its sheer size and magnificence. I also like the Astor engraving in the windows at the front, a nice art deco touch if ever I saw it. It’s on Ararat’s main street, but slightly away from the shopping area, heading east. $13 a ticket on our day. There is a little shop for buying the usual snacks, but if you want a cup of tea or coffee and you are running a bit late, you can order it, and some time later (ten minutes into the film in our case), an usher will appear with cups of your steaming drink on a tray. Rather a nice touch, I thought. 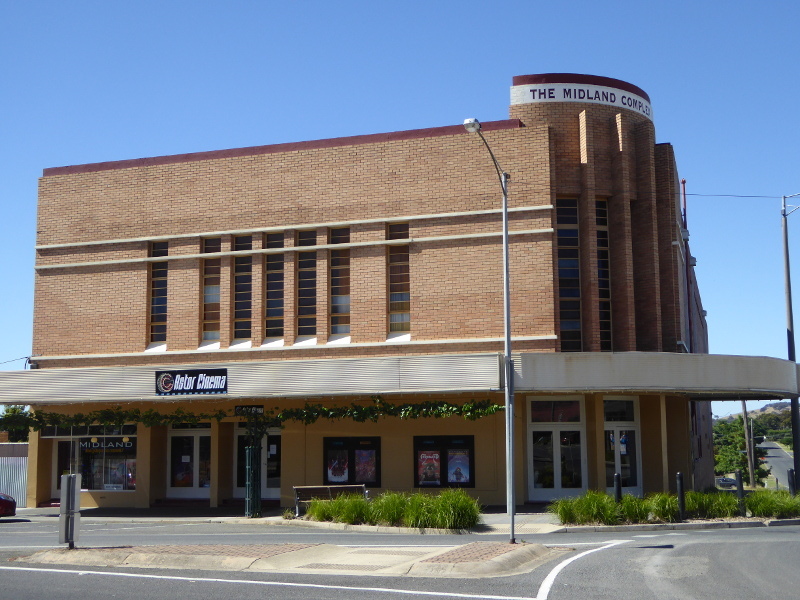 The Midland Theatre, which seems to have been its original name, was built in 1938. Construction started in February with plans to finish the whole job in 12 weeks and be showing films by July. But 80 years ago, these types of projects were no more likely to complete on time than they are today and The Midland finally opened in October 1938. Press clippings on the next day mentioned the ‘wide sweeping staircase’ and the light fittings for an overall ‘modern note in design and decoration’. Mad about Music was a Hollywood musical screened on the opening night, though I’d have been more up for the B movie showing: Reported Missing (about a gang sabotaging planes so they could rob the dead passengers from the crash sites!). The cinema was owned by a guy named Otto Spehr. I wonder how he got on through the war years and after when folk with German origins may not have been treated too well in parts of Australia (made me think also of another called Kurt Gebhardt, who was incarcerated at the infamous J-Ward nearby and wasn’t trusted even ten years after the war – the story was he might paint swastikas on the prison walls if he was left with paint brushes!!). Spehr did have a run-in with the local community, though. Triggered by a parking ticket he got in Melbourne. He was so upset by the authorities insisting he pay the ticket that he refused to play the National Anthem at the cinema, which led in turn to a boycott of the theatre by as many as 40 local organisations, according to contemporary accounts. And there were threats against him which included tarring and feathering!! The film on show the night the threats were supposed to be carried out? The 1949 biopic Jolson Sings Again. Police intervened, calm was restored and Mr Spehr began again to play God Save the King at the start of the evening, and Advance Australia Fair at the close of screenings. By 1955, the place was already under threat of closure. A clipping from The Argus, Melbourne found on Trove, speaks of efforts to raise £50,000 (a lot of money in those days) to form a co-operative to buy the theatre. It would have been ‘owned by the people and operated for the advancement of the town and charitable organisations’. What a fantastic notion. I don’t think it succeeded as a later press clipping I saw had the venture raise some £37k, while the cinema was for sale for £67k. I would love to hear from any locals who know about this. 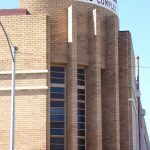 According to the Victoria Heritage Council, the Midland Theatre was renamed the Astor in 1959. But if that is the case, then the Museum postcard we have in the photo gallery has the wrong date on it as it has an Astor Cinema from 1939, only a year after it opened. Also, according to Victoria’s Heritage Council, the cinema closed ‘with the advent of television’, but reopened in the 1980s (thank goodness it had not become a car park by then). But then another source had the cinema closing in 1984, in which case when did it reopen? Does anyone know the correct dates and what was shown on the re-opening night whenever that was? I was fascinated by the story of Otto Spehr and his boycott of the national anthems in 1949. Is anyone still around who remembers all that going on? Our visit also to the wonderful Langi Morgala Museum got us thinking about other people involved in the cinema in the 1940s and 50s. 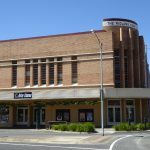 Graham Burke, who now co-runs the Village Roadshow cinema network around Australia – so a pretty bigwig in films round here – began his cinematographic journey tearing tickets at the Town Hall cinema in Ararat. 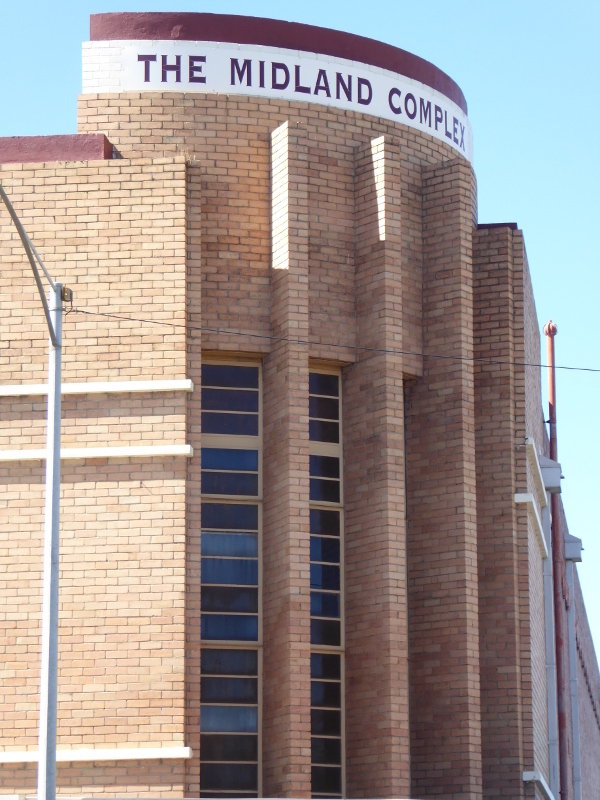 This is the Victoria Heritage Council entry on the Midland Theatre in Ararat. 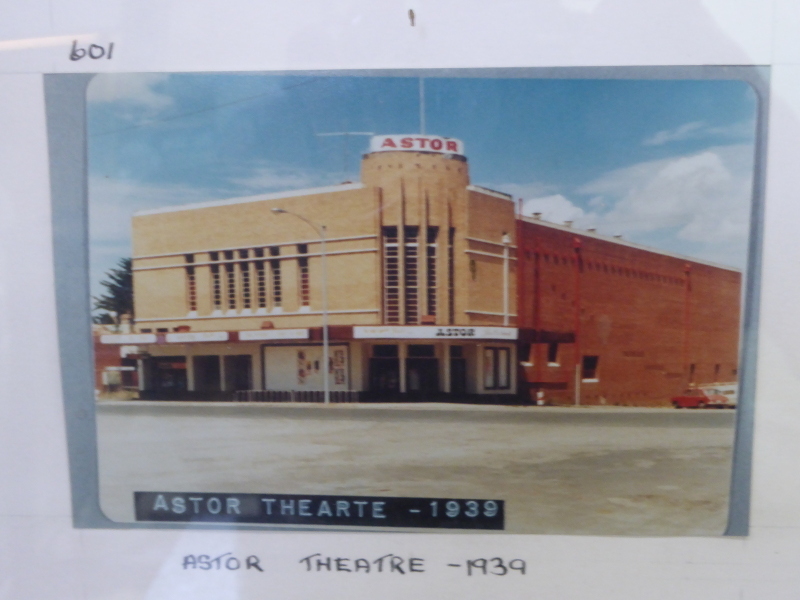 The Cinema Treasures website also has an entry on the Astor Theatre in Ararat. What are your memories of the Astor (or Midland)? Did you have a memorable first date at the Astor? Were you here when it was a single screen cinema? What’s the best film you ever saw at the Astor? And was it made even better by being inside such a movie palace? 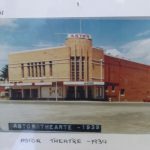 Whatever your story or memory of the Astor, I’d love to hear from you, so share your thoughts with other readers of the Vintage Victoria site. Best coffee in Ararat? Well, nowhere stands out for excellence in Ararat. But we quite liked the atmosphere and friendliness of the staff at Vines in the main street. Coffee was decent, too. Otherwise, go for a cuppa and have the ushers bring it in to you in your cinema seats. It’s all part of the Ararat cinema experience.